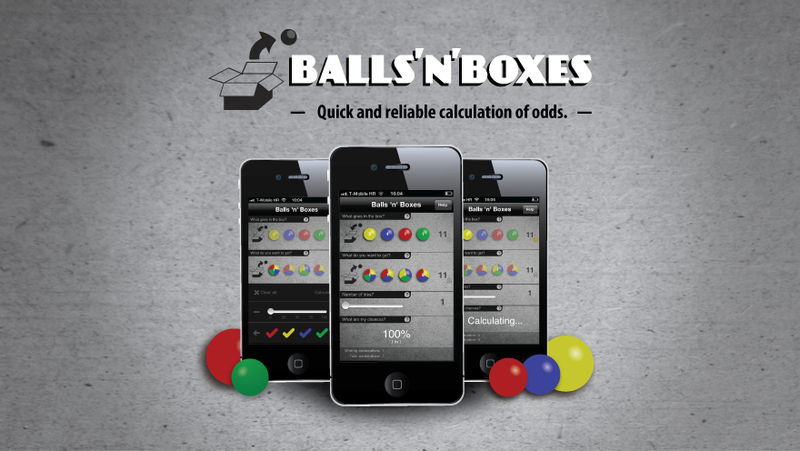 Balls 'n' Boxes is an app for calculating odds for specific situations such as winning the lottery or a roulette game. The concept is based on building a scenario with balls of different colors which are in the box and balls which we want to pull out. The app then calculates the odds of geting selected balls.